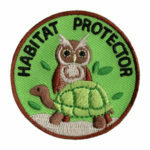 This Habitat Clean Up Patch is one of our “Friend” level patches which are the easiest to earn. 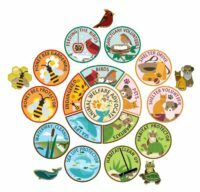 They are geared toward younger achievers such as Daisies* and Tiger Cubs but are also suitable for achievers who can only invest a small amount of time but are concerned with animal welfare. 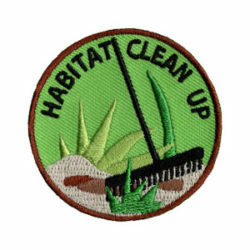 Generally, our Habitat Clean Up Patch can be earned in two to three hours. Requirement 1: What is an Animal Habitat? An animal habitat is a place where animals live. They live in that habitat because they can get what they need like food, water, air. People live in neighborhoods. It’s their habitat. 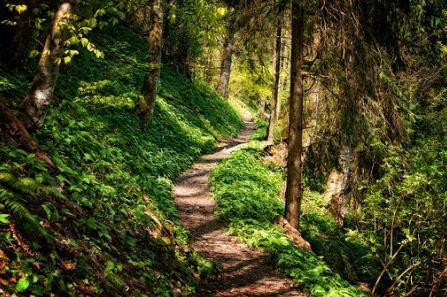 Animal habitats are places like forest, deserts, oceans and woodlands. Often, we share our habitat with other animals because our neighborhood was built in their habitat. It’s important that animal habitats are protected and humans respect the homes of animals. 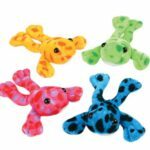 What animals live in your area? Have you ever seen a squirrel? A lizard? A deer? A rabbit? Where do you see them? In your yard? At the park? Find out all the different types of animals that live near you with this interactive map. Think about your area. What kind of animal habitats are there? Parks are animal habitats. Backyards are animal habitats too. What kind of animals might be there that you don’t see? Is the habitat clean and inviting? Do you think the animals feel safe? Clean up the animal habitat you visited. Find another animal habitat to clean up. 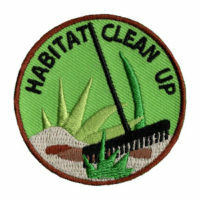 Participate in an organized habitat clean up. 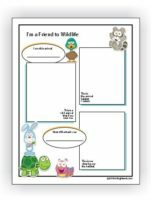 Download and complete our “Friend of Wildlife” worksheet. 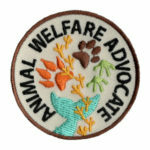 Once you’ve earned this patch, you may want to earn our Animal Habitat Protector Patch.